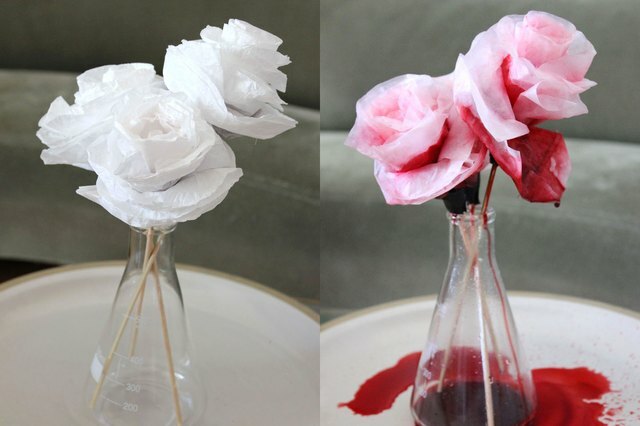 For a gory, interactive Halloween floral decoration, you can't get much creepier than these white roses that bleed red. Made of coffee filters with pockets of red dye powder sewn in the petals, the blood starts running as soon as the roses are watered. A bloody good time will be had by all. Each rose will consist of five coffee filters. Coffee filters are great for this project because they are designed to withstand water and filter color. In a way, making coffee is like making blood! 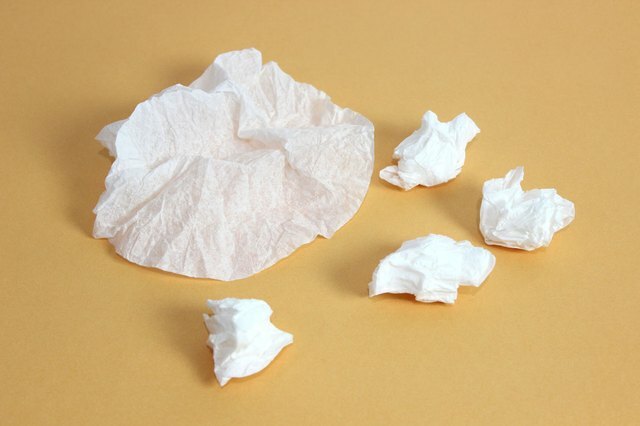 Peel five coffee filters from the pack, and crumple them up. Go ahead and get rough with them. 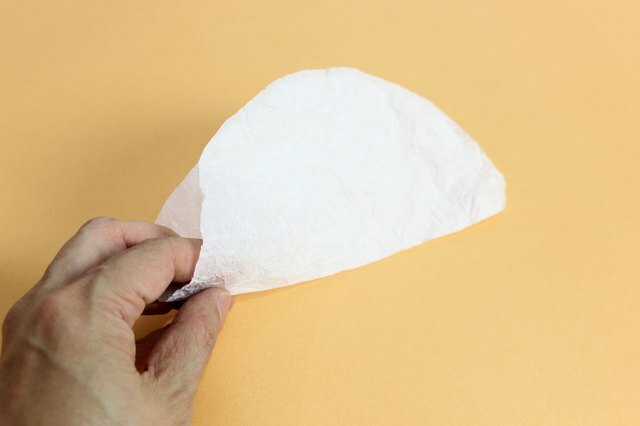 Crumpling the coffee filters makes the paper more pliable and easier to work with. 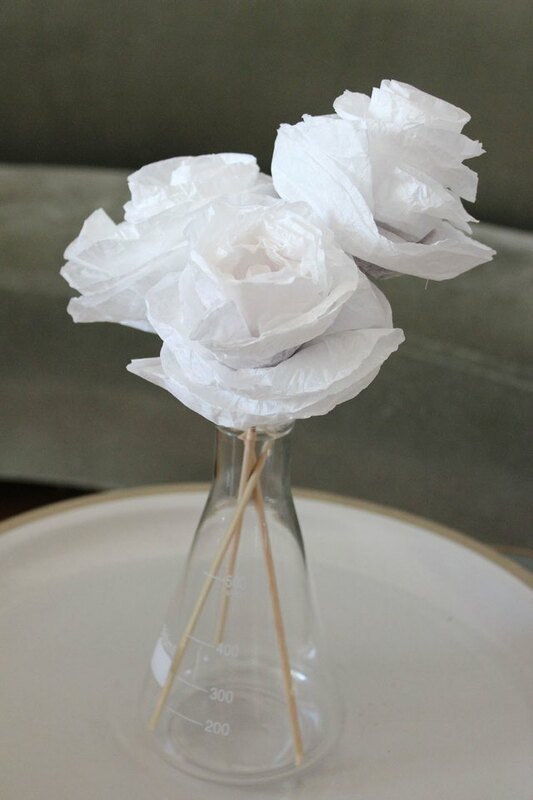 They will then have the consistency of crepe paper and actually look more like roses petals. 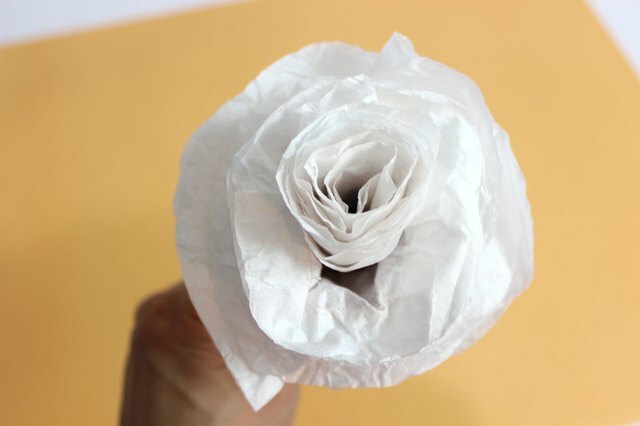 Spread out the crumpled coffee filters and fold them in half. Press a crease along the fold edge with your fingers. You will have what looks like five folded tortillas. Three of the five coffee filters will be filled with dye. 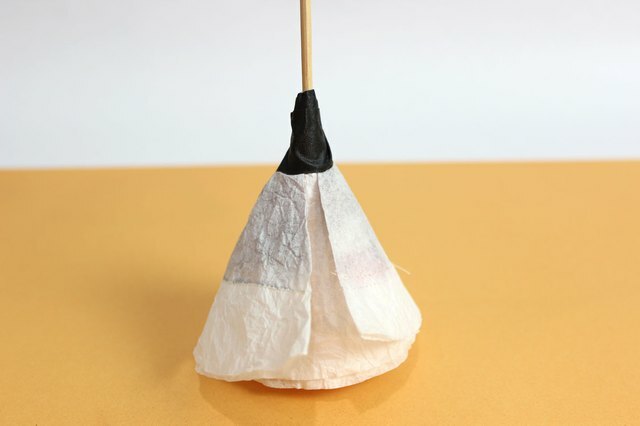 For the three that will hold dye, sew a seam about one inch from the half-circle opening of the coffee filter, starting at one end and stopping about three inches before you hit the other side. Be sure to back stitch at the beginning and end to lock in the thread. There will now be a little pocket at one end. Pour about a half teaspoon of red dye powder in the pocket. A little goes a long way. You don't need to measure — just estimate. 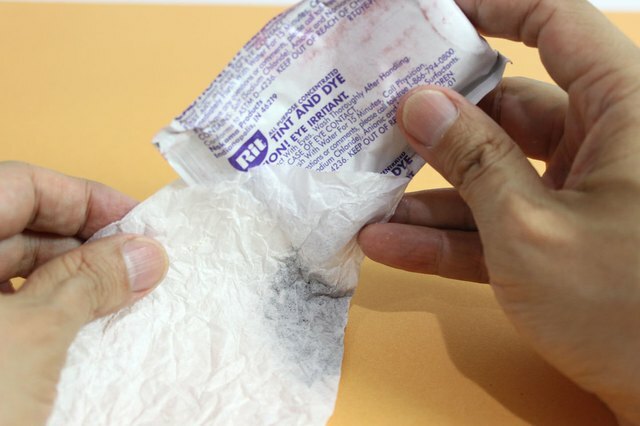 Be careful, as red dye powder stains. Keep the red dye away from children. Besides the dye staining, children might want to eat or drink it. 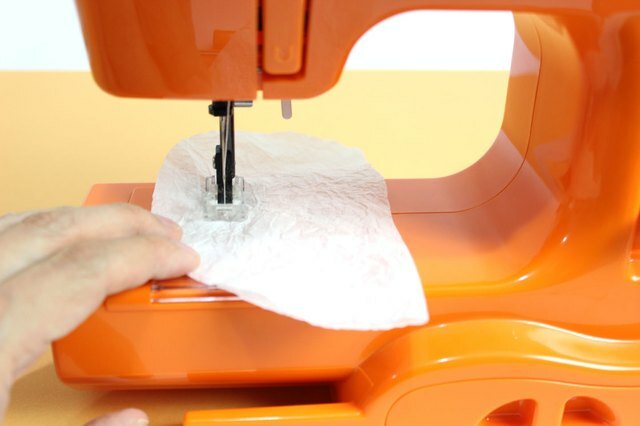 Shake the dye away from the opening, and sew up the gap in the coffee filter. Again, be sure to back stitch to lock in the thread. Now it looks like a big tea bag. 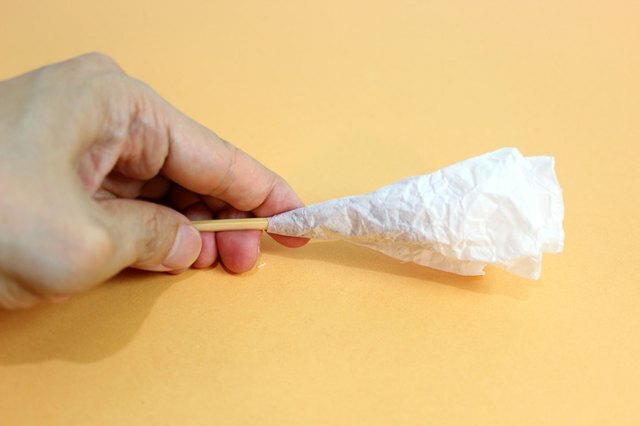 Starting with a coffee filter with dye, roll it into a cone shape around one end of a wood skewer. The folded end of the coffee filter should be at the bottom with the skewer, and the open end should be at the top. 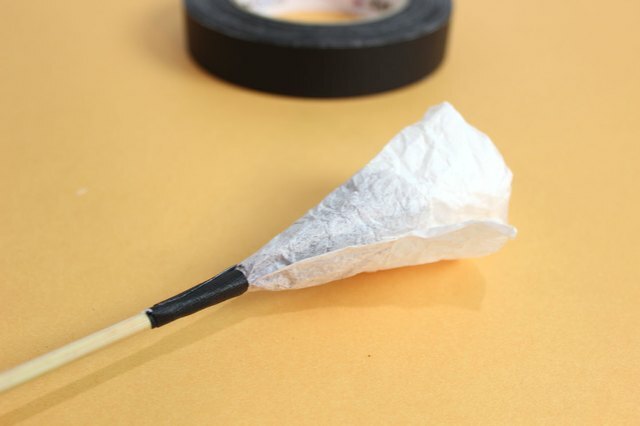 Then wrap masking tape around the base of the cone to adhere it to the skewer. The stickier the tape, the better. It can be any color you wish. 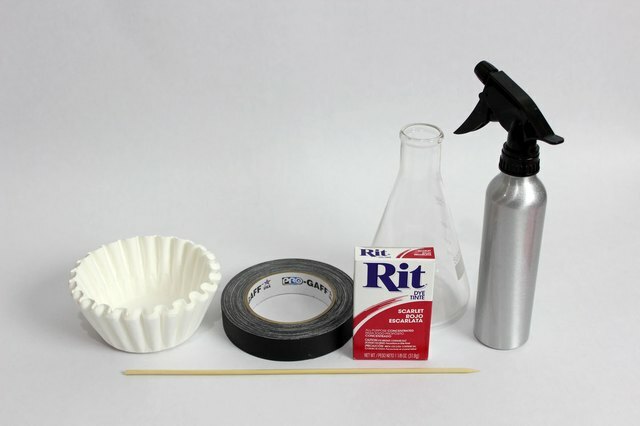 You can even use duct tape instead of masking tape. Wrap the second coffee filter around the first. This second coffee filter will be one of the folded ones that does not contain dye. Wrap the end in tape to secure it to the skewer. 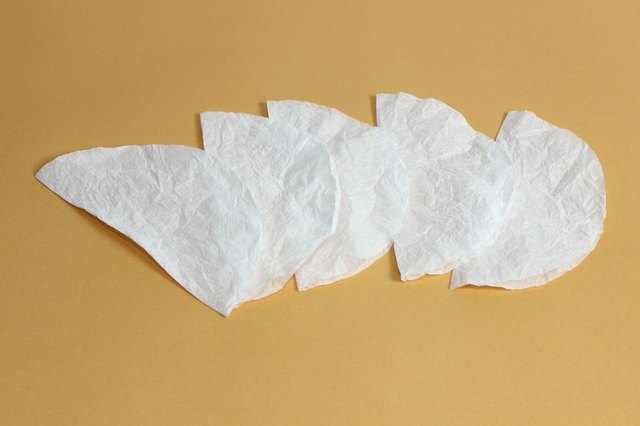 Continue adding coffee filters — the third layer from the center will again contain dye, the fourth will not, and the fifth outer layer will contain dye. Tape each layer to the skewer as you go. 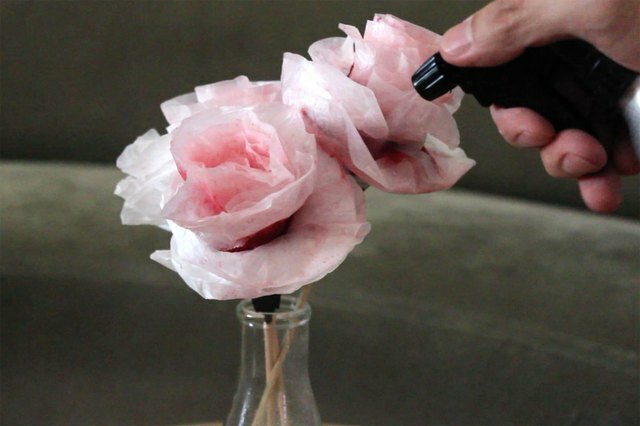 When all five coffee filter layers are secured to the skewer, fluff out the outer petals so they look more like roses. Keep the center petals more closed, just like a real rose. Place a single stem, or several roses in a vase. Select a glass vase, as it will not stain. Also, the glass will let you see any blood that collects in it. Place the vase on a large platter to catch the blood that will drip from the roses. When it's time to make the roses bleed, spray the roses with water. At first, the inside of the roses will become pink, but as more water is sprayed on them, the "blood" will start dripping from the petals. It would be fun to have someone who doesn't know the petals are laced with dye powder to spray water on the roses and watch their shocked reaction. Even after the "blood" has dried, you can reactivate the bleeding by spraying water on the roses again. Hopefully, there are no vampires in your family, as the constantly dripping blood would be too great a temptation. 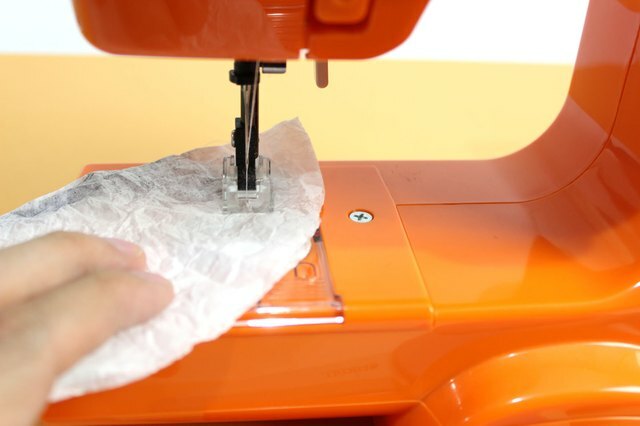 If you are averse to sewing, you can seal the coffee filters with double-sided tape instead. The tape might come undone when drenched with water, but the wilting of the rose can be part of its scary charm.